What Are Some of the Most Surprising Aspects of Divorce? For one, the process may be a lot longer to finalize than you realize. 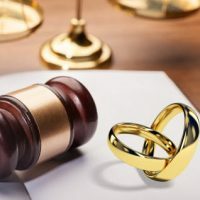 While, in Florida, there is no requirement that you first be separated before you get divorced, you do have to be a resident for at least six months before you file. That six month period is then contingent on you both agreeing on everything; if you do not, you go to court, and that can draw out the process for a quite a while, especially since court calendars are often very full and it can sometimes be difficult to schedule a court hearing. In addition, most people are surprised by just how much paperwork and documentation is involved in the divorce process. Both sides in the process need to provide lengthy documentation concerning their finances. People are also sometimes surprised by just how much work their attorney has to do in order to ensure that there are repercussions if the other “side” does not follow the rules. For example, let’s say your ex takes your child out of state, or does not fully disclose all of their assets. There isn’t a “police officer” who steps in and rights this wrong; you and your attorney have to file motions in order to hold the other side accountable and ensure that your rights are protected. While many people realize, in theory, that their lives (and schedules) are going to change, this can sometimes take a while to truly set in. For example, coordinating extracurricular activities for your children may involve a lot more questions—which days, who is going to do the pick up and drop off, how much will it cost, etc. It is entirely possible that everything—even something that seems simple—is going to take a lot longer and become more ‘involved’ than it was before. When it comes to having a professional, experienced divorce attorney working by your side to ensure that your rights are protected, you won’t find a better team than the Arwani Law Firm, PLLC. Contact us at our Orlando office today and find out more about our services.